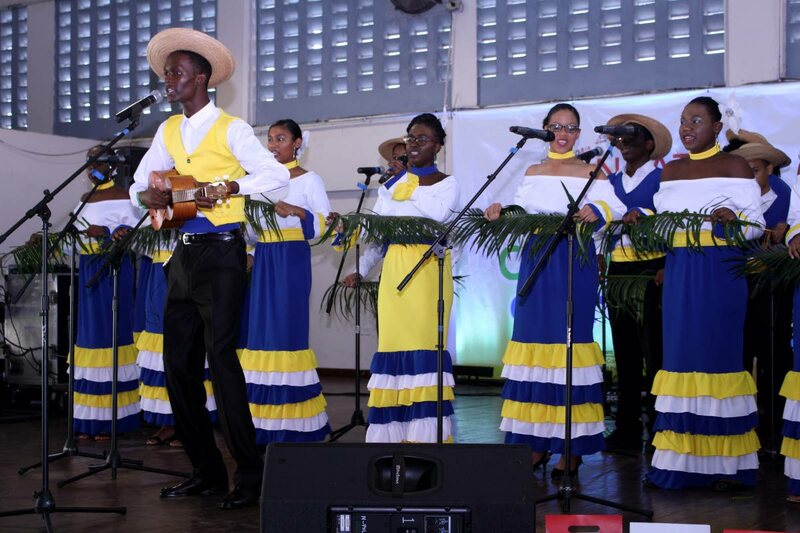 The best-dressed winner Tableland Secondary. FOLLOWING a successful 2018 parang festival, the National Parang Association (NPATT) is attempting to change the thinking from parang being seasonal music just for Christmas, to a year-round sound. This to ensure parang’s survival. NPATT's public relations officer Cassell George said the conversation has already started, to open the season in January 2019 with a more Latin-infused genre of parang rather than the traditional. The association is also exploring the possibility of having a Parang in Easter festival. “Taking up where we left off in 2018, the new executive under the management of Alicia Jaggasar, we have big plans. This year we had parang in July and we are definitely going to continue with that next year. We have had conversations on a festival for the Easter season, that is a work in progress." He said the current executive which was voted into office in April and will serve for a two-year term, has had a successful season. Third-placed Bishop Anstey Trinity College East at the National Junior Parang Festival at Preysal High School. 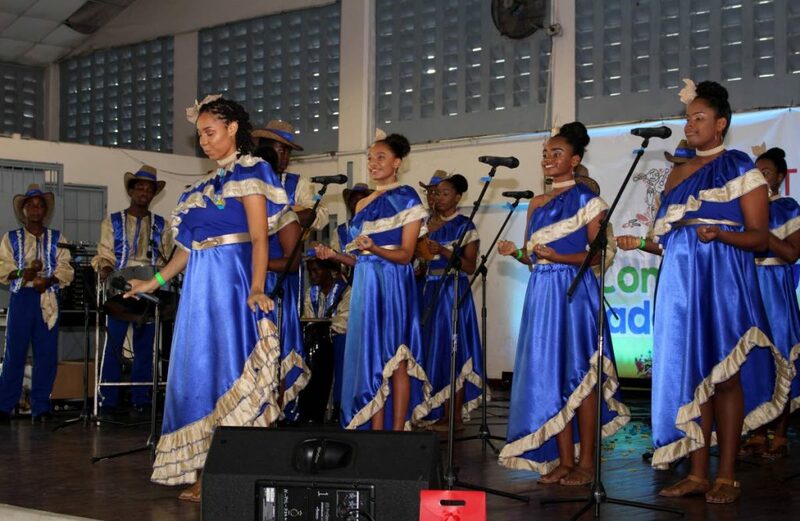 The festival, themed From Nazareth to Bethlehem and which highlighted the journey of Mary and Joseph during the Nativity, was launched at the Arima Velodrome on September 29. The Velodrome will also host the grand finale on December 15. The season, however, will officially close on January 5, on the Holly B Promenade, Arima. First place winner of the Secondary segment of the National Junior Parang festival 2018, Queen’s Royal College/Bishop Anstey High School during their performance on November 15 at Preysal High School, Couva. For 2018 NPATT also initiated the celebration of a Parang History Month in September to inform the public about its origin and traditions. For this initiative George said NPATT partnered with MovieTowne, both in Port of Spain and at C3 Centre in San Fernando, where a different parang band was featured every Wednesday night at these venues. Apart from providing entertainment, the bands also shared their history and fielded questions from the audiences. “This is something we want to continue in 2019,” George said. From September to December, George said NPATT was able to partner with a number of villages to put on some of their shows. 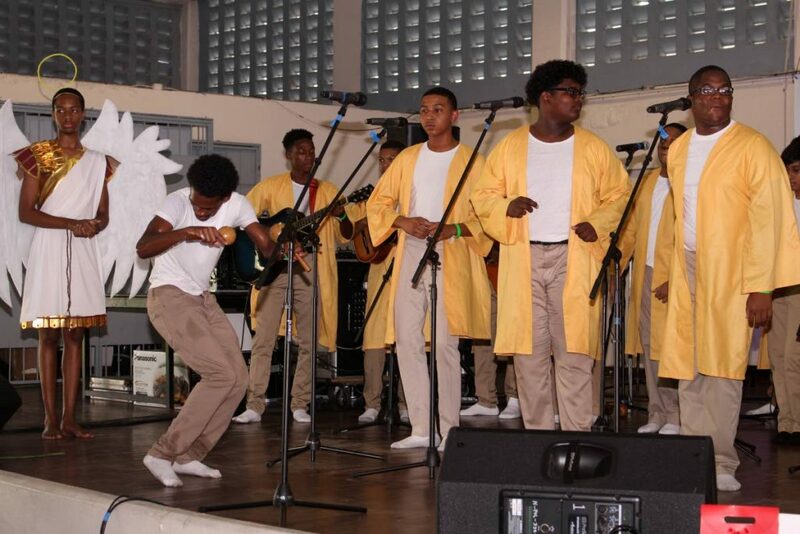 A St Mary's College student shakes his "chac chac" engerically during the National Junior Parang Festival. The college placed second. This year, NPATT also hosted the 28th edition of the Junior Parang Festival which saw approximately 1,000 students representing both primary and secondary schools, participating in the festival and being given an early introduction to Spanish. The junior festival which took place at the Preysal Secondary school on November 16 and 17, saw 15 primary and 26 secondary schools competing for top honours. In the primary school category, Sacred Heart Girls RC placed first with 93 points, seven points ahead of second placed-winner Vance River Primary (86) and eight points more than Morvant Anglican which placed third with 85 points. Special prizes were also awarded to Sacred Heart student Amerie Reyes for best female lead, Jerrel Lee of Vance River for best-dressed and best lead instrument, Tyrese Grant of Morvant Anglican for best maracas, Tariq James of Arima Boys Government for best presentation and best male lead, Josiah David of Todds Road RC for best box bass, while Enrique Mendez of La Seiva RC took the special award for being the best cuatro player. 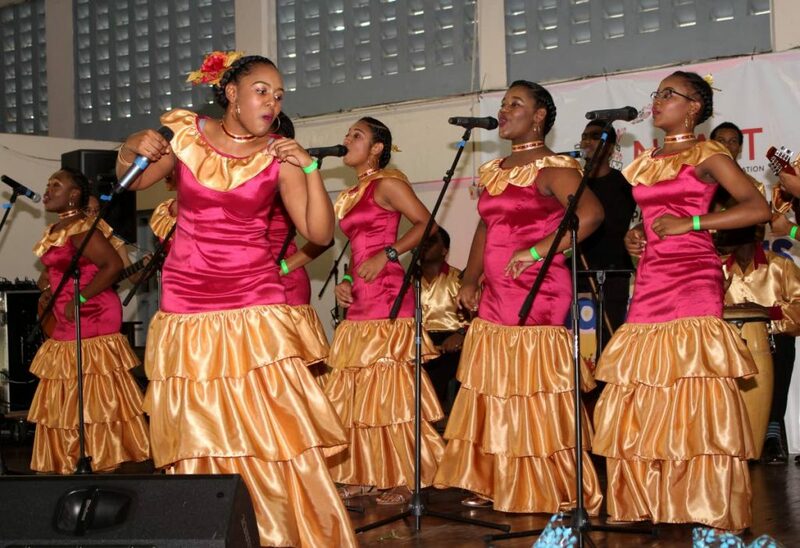 Other special prizes were awarded to Tableland Secondary School for the best-dressed group, St Joseph’s Convent, St Joseph, for the best presentation; St George’s College, Barataria for best lead instrument; while Trinity College, Moka, student Shakem Boisselle also earned an award for best cuatro player. Shane John of QRC was named best male lead, while Xaviella Millette of Holy Name Convent, Port of Spain, was named best female lead. While he was grateful and thankful for the assistance NPATT got from the Culture Ministry, George made a plug for assistance for its programme in the new year, to fulfill its mission of promoting and preserving the art form. Reply to "Parang for all seasons"